Me and My Uncle is a song composed by John Phillips of The Mamas & the Papas, and popularized by the Grateful Dead and Judy Collins who recorded the song in 1964. 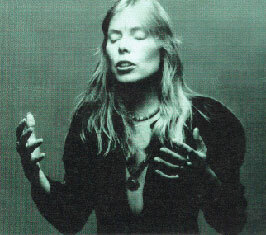 Joni truly had a beautiful voice during this time. It's too bad cigarette smoking spoiled this wonderful instruments. I know she denies that it's the cigarettes that changed her voice, but it's sort of like an alcoholic denying she has a problem with alcohol. It is so wonderful to see this early performance for the first time. She is so remarkable, so talented from the very begining of her career. She plays with such a command of the manterial, her dynamics causing the story to ebb and flow. I am such a huge fan, it was a joy to see this early performance.